Having a home business requires a plan of action, a commitment to that plan, discipline, focus and patience. Whether you have an existing business and are looking to take it online or looking to start a business online, you will need to market. No matter what business you’re in or considering starting: coaching or consulting services, affiliate marketing, e-bay store, network marketing, drop ship or promoting your own products, you will need buyers. But before you can get buyers you’ll need to let people know you exist and that requires marketing. All business, whether offline or online has to be promoted in order to build awareness. That promotion could be as simple as word of mouth or as complex as a full media advertising and PR campaign. Consistent marketing is the key difference between those who build a profitable home based business and those who don’t. Knowing and implementing the top online marketing strategies will definitely help build your business but those strategies will be different depending upon your marketing budget and plan. What if you’re just starting out and you don’t have a marketing budget? That’s ok, you can start small and utilize some free strategies initially. However, you should plan to set aside least 20%, preferably more for a marketing budget. Here are a few tips to help you develop a consistent marketing plan regardless of your business model. Many people starting their own business often overlook this step. Yet it’s crucial to the success of your business. Cleary defining your target market will make it much easier to get your first few clients. Which is important especially when you’re starting out as those first wins will give you the mental mojo and the physical dollars to keep going! What if your target market isn’t as obvious as Single Mothers or Pregnant Women? You’ll have to spend some time getting clear on just who you are trying to reach. If you’re in a network marketing business, you’ll need to define your ideal client. Contrary to what many people in the MLM industry are told, not everyone is your client. Sure, your product may be beneficial for many people but having people purchase your products and having people join your team are two entirely different things. If you’re serious about building a business, you’ll want to be targeting people interested in building a business too. You may do well to target people already familiar with the industry although perhaps not getting the training or results they desire. If Taking the time to get clear on your ideal client will help you to work smarter not harder! For more on determining your ideal market check out our ongoing webinars on defining your target market. You have two methods to use in order to market your online business, free and paid. Free will take much longer to develop a clientele but if you’re just starting and don’t have a marketing budget then this will be your only option. 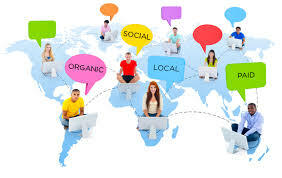 Free traffic methods involve, SEO (search Engine Optimization) through keyword rich content – blog posts or videos and website pages, which must be distributed on Social media sites, like Facebook, Twiiter, Pinterest, Stumble Upon etc. You can also syndicate your content through sites like Pingomatic and through private FB groups which may syndicate for each other. 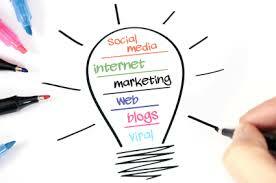 You may combine online marketing with off-line marketing such as, networking events, and community fundraisers. One thing is certain, it will take at several months of consistent action to start seeing results but hang in there, you will get results. It’s no different than if you were in an offline sales position, it would take you several months even a year to build a decent book of business. Online is the same, so be patient and persistent. Paid traffic can give you quicker results, provided the sources work. Paid traffic includes solo ads (solo ads are when you pay someone who has a large list to send out an email to their subscribers), paid advertising on sites like FB or Youtube, or even offline in print media, with direct mail pieces such as postcards or flyers and through traffic brokers. Tracking is extremely important, as you’ll need to know what’s working and what’s not. You can set up a tracking code at the end of your campaigns, which will allow you to see where your leads are coming from. You can also track your opens and click through rates in your autoresponder, which will help you determine if your subject line needs some adjustment. Sometimes making a simple one or two word tweak in your email subject line can mean the difference between a high open rate and click through rate or a low one. Once you’ve determined your target market, your marketing method and track your campaigns, you will be well on your way to creating your own online marketing strategies. Marketing requires consistency, tracking and patience. As long as you stay focused, market regularly, track your efforts, and make any necessary adjustments you will have success.